Modernist Bread: The Art and Science is broken down into five large volumes, expounding the craft, ingredients and techniques behind doughs and loaves. 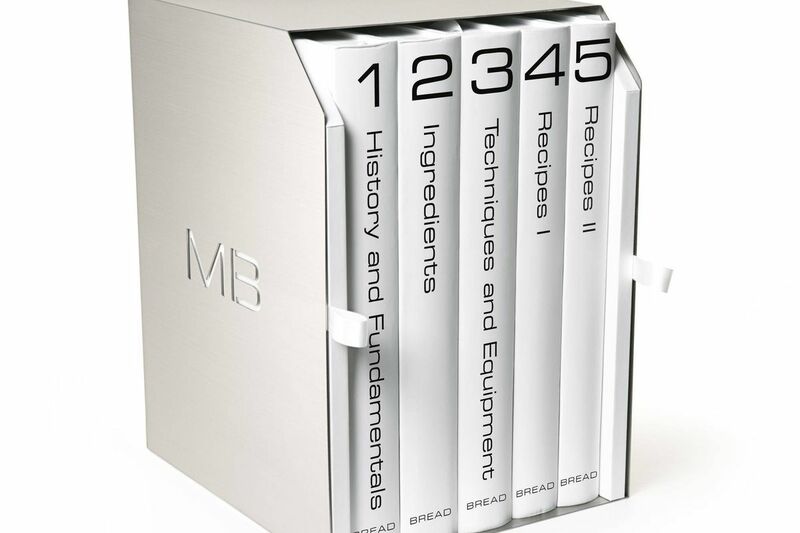 The team of authors behind Modernist Cuisine: The Art and Science of Cooking, an epic six-volume, 2,438-page culinary encyclopedia published in 2011, have now written the most comprehensive tome on bread baking to date. Like its predecessor, Modernist Bread explores the history and science surrounding its subject; broken down into five large volumes, it expounds the craft, ingredients and techniques behind doughs and loaves, with 3,000 photos and 1,200 recipes. Although the team of six chefs and scientists behind the release conducts research in a kitchen lab complete with analytical and computational facilities, there's still an appreciation for traditional bread-baking techniques that have evolved around the world over thousands of years. Beyond sourdough, baguettes and ciabatta, Modernist Bread delves into injera, dosa, bagels and bao, from hydration and fermentation to proofing, shaping and baking. "Why bread? Because there are so many questions," is the introduction to its promotional video, and the books aim to address them all, encouraging professional and home bakers alike to gain a deeper understanding of our daily bread. Modernist Bread: The Art and Science, by Nathan Myhrvold and Francisco Migoya, $625 through ca.phaidon.com.